I.S.S. Industrial & Ship Services BV has build a large switch box to control to thermal oil plant on board of a Russian inland ship. The front panel is build for conventional operation, containing various LED indicators and buttons and switches. I.S.S. 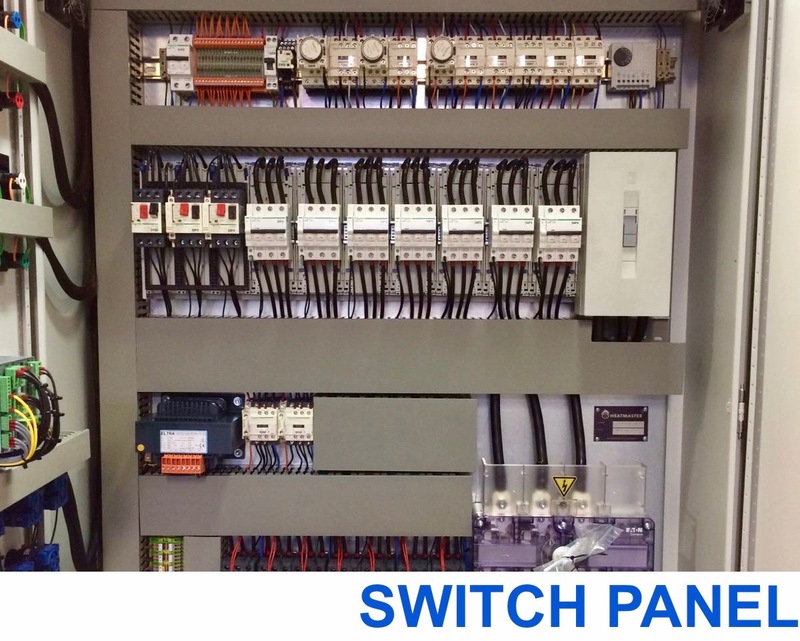 Industrial & Ship Services BV built a switch panel for a dredger ship. 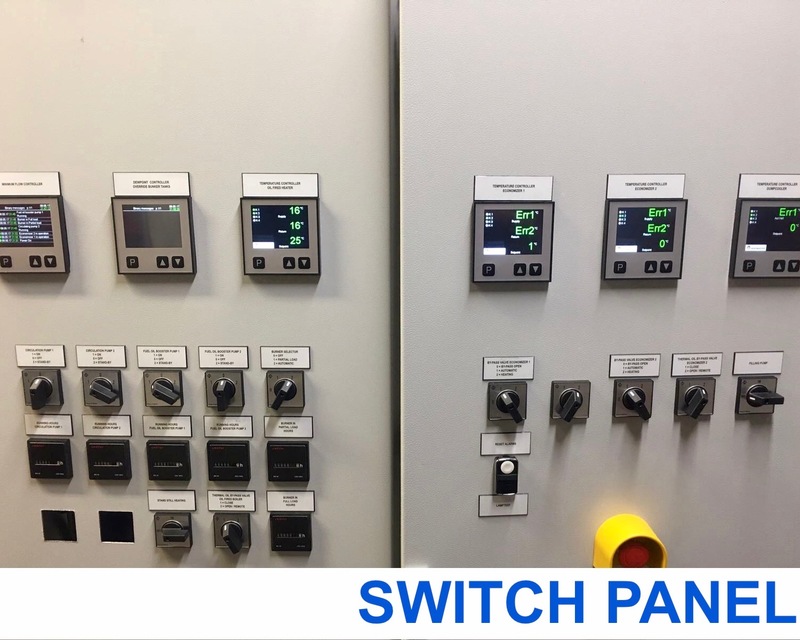 This was a conventional switch box, containing manual control switches, analogue hour counters and digital electric controllers to operate the boiler system. I.S.S. 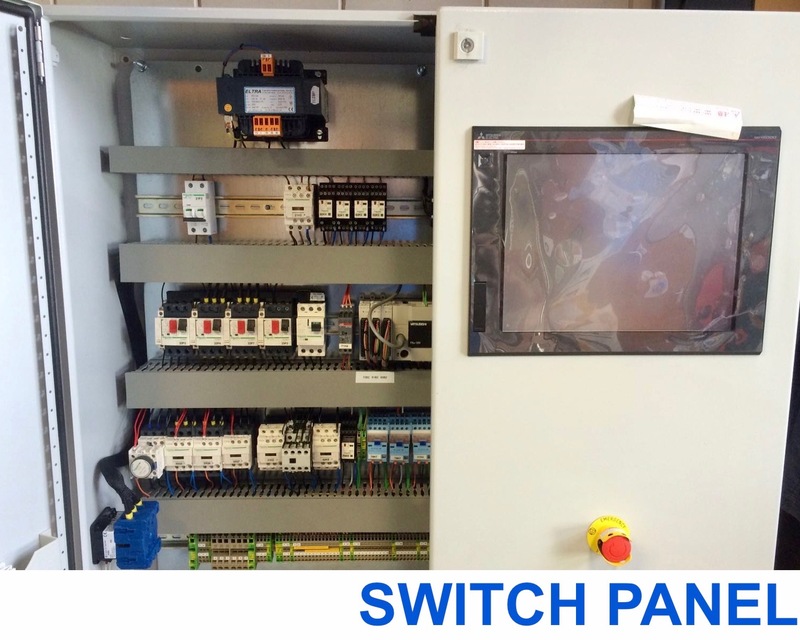 Industrial & Ship Services BV build and tested a switch box for a 300 Kw electric heater that works with eight steps control. The front panel included LED indicators, hour counters, switches and a JUMO electric controller. I.S.S. 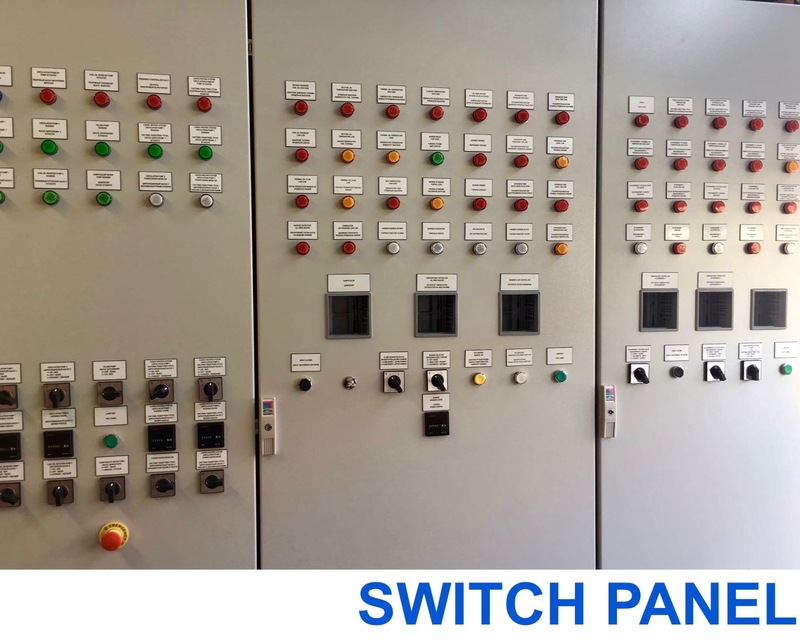 Industrial & Ship Services BV has build a new switch box with a HMI screen to replace an existing switch box made by Aalborg.